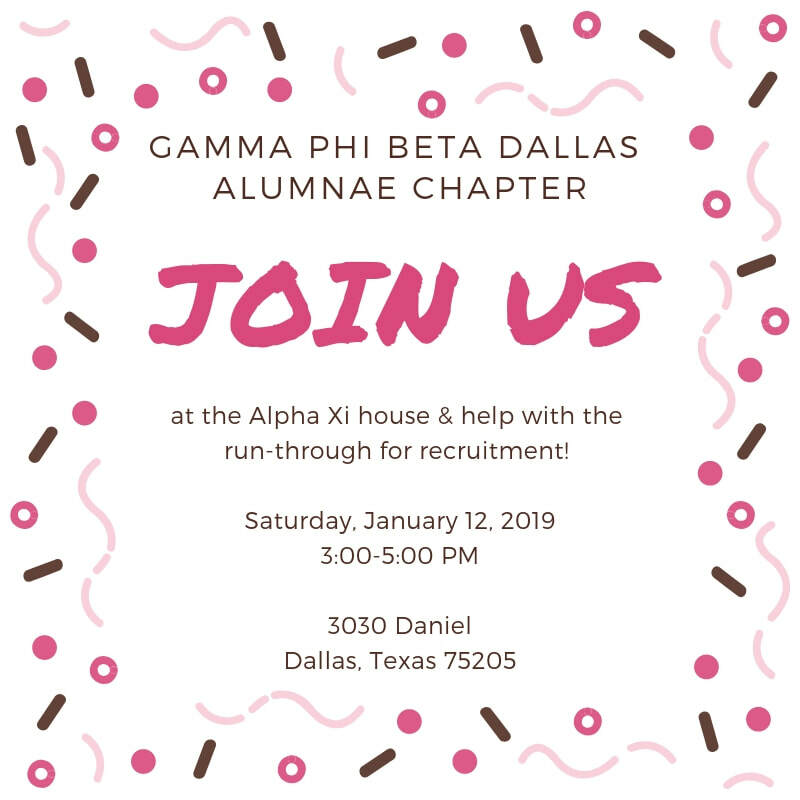 In preparation for recruitment, the SMU Gamma Phi Beta chapter is looking for support from our Alumnae group Saturday, January 12th from 3:00 pm - 5:00pm. Join us to participate in the mock recruitment conversations and run through. Thank you all for your support of the SMU chapter! This is going to be the best recruitment year yet!